Do you realize your skin condition getting worst when age growing? This is due to loss of collagen in our skin. Collagen actually is a protein that is the principal constituent of fibrous connective tissues, found in skin, bones and cartilage. 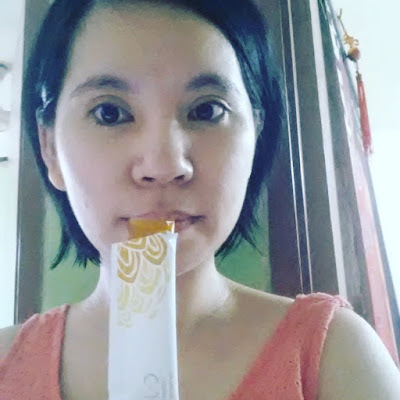 When collagen become lesser in our body, you can see your skin start to sagging, Fine line and wrinkles appear, hair loss and dryness, brittle nails and delayed wound healing. Introduce to you C Jello that can give you a glowing and radiant skin. 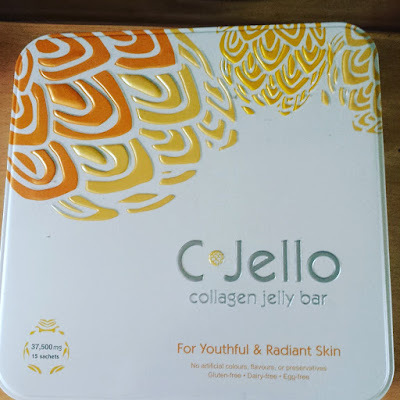 C Jello is collagen jelly bar that support the restoration of the skin by promoting appearance of youthful, healthy and glowing skin in a safe and non-invasive way. C Jello is the first ever collagen jelly bar exclusively created in Korea. Do you want to know the secret after consumption of C Jello? It delay the ageing process. You are free from fine lines and wrinkles. wohooo.. I love it. Help to restructuring of skin's collagen and its ability to retain firmness, elasticity and smoothness. No wonder my skin bounce and firm . Stimulates the skin renewal process for younger and more youthful appearance. Lightening the dark spots for a brighter and fairer skin tone. It work on me as I have visible dark spot . But after taken C Jello, the dark spot gone. C Jello is worth for money as it contains 2500 mg of Hydrolysed Collagen Peptide and essential nutrients like Mulbery extract, Melon concentrate, German fish collagen, artichoke extract, peach concentrate, rice bran extract and pear concentrate. That why the C Jello taste nice. Alright , let see my transformation from ugly Betty to pretty Betty. Oppsss. I praise myself for choosing the right choice. Ehermmmm. Can you see the different? The first picture at the left side, you can see my skin condition is dry, dull, fine line and skin start to sagging. But after consume C Jello within 14 days, I can see improvement on my skin. My skin getting fairer, eyebag and fine lines reduce . I happy with the result. Easy to consume, 1 sachet twice daily and you can see your skin condition looks different. C Jello also certified halal and it save to consume.